An account of a foodie who searches for savory goodness in Indonesia’s youngest province. 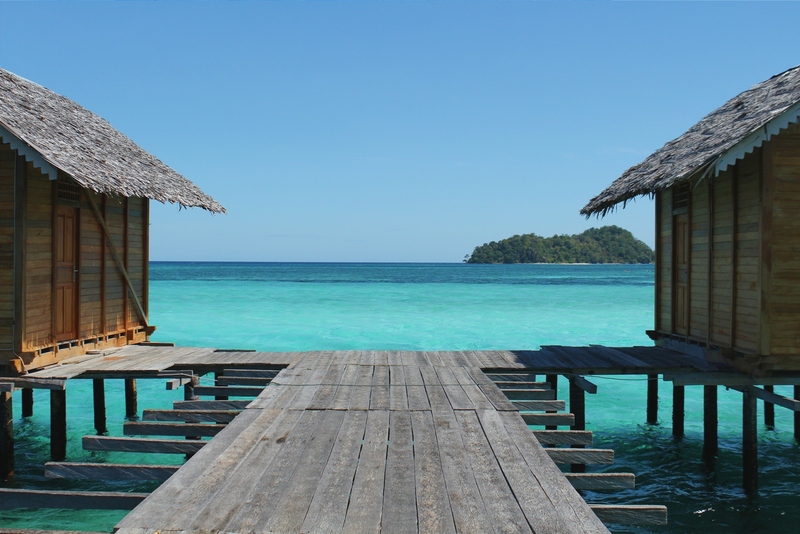 To the north, Gorontalo has the beautiful small islands off coast to the Celebes Sea. Back to the inland, the province has a series of green hills and the lowlands where the seat of government resides in Gorontalo City. From the hustle bustle of the capital of the province to the pristine beaches in the northern regency, there’s always space for anyone seeking for a fun adventure. However for a traveler like me, it involves a lot of food in-between. Sampling around the archetype Gorontalese recipes is without doubt an experience of its own. As a tribute to this country’s enormous beauty and hospitality, I dedicated some time to create a mini guide of where to eat in Gorontalo City. From breakfast dishes, the seafood and the traditional cuisines, here is the lineup for you to try while in the capital. With its striking yellow color coming from the turmeric, that type of rice can be richly combined with a plethora of assortments. Indeed, this particular dish remains the best choice for a very Indonesian breakfast on a par with nasi uduk or nasi ulam. There are two breakfast joints well-known for the nasi kuning, each coming up with a combination that is rarely seen in Java. Spoil your mouth with the well-known Yellow Rice with its savoury taste. Steaming hot Tendon Soup will seduce you to eat more of it’s tastiness. Since 1958, Nasi Kuning Hola pairs its yellow rice with shredded omelets and the savory fish floss. That might sound familiar but Nasi Kuning Hola has breakfast set that includes nasi kuning with a bowl of chicken soup, vermicelli, and a hardboiled egg. That’s already a champion breakfast for you! Meanwhile at Warung Makan Menanti, the breakfast combination is somewhat more “extreme” but in a very good way. The nasi kuning may only come with a bit of vermicelli on top but it is paired with beef or lamb satay and a huge bowl of beef tendon soup for the whole family! If you are a fan of full of beef tendon mie kocok, then this is right place to have your power breakfast. Seafood dominates the largest part of Gorontalese diet and that’s why the people here do it best either with traditional grilling or when utilized with traditional recipes. If you are looking for the former, then stop by after the long flight to have a very fulfilling lunch at Rumah Makan Melki Brazil. Grilling is the restaurant’s specialty and you can sample the freshest snapper, trevally, or garoupa here. The grilled fish is usually combined with Gorontalese stir-fried water spinach and the famous sambal dabu-dabu. Enjoy the super fresh seafood with a view off to the estuary and as far as the open sea, and a calming sea breeze to accompany your lunch; this is no ordinary seafood shack experience that you often encounter in other places. It’s like a never ending seafood festival, only in Gorontalo. If you like seafoods and you probably should if you haven’t, you gotta taste the fascinating Tuna Jaw. It’s nothing ordinary. Feels like having everything tuna for dinner? Then you should come by to Rumah Makan Raja Tuna. True to its name, this “King of Tuna” restaurant serves every part of tuna for its customers. The must-have would be the exotic tuna jaw and sashimi. Yes, you heard that right – tuna jaw and sashimi. Among the must-not miss from this restaurant are the fried tuna belly, tuna eggs and tuna satays. Be sure to enjoy it with the super fiery sambal. It is, subjectively, the most memorable dinner I ever had in Gorontalo. Sampling around the archetype Gorontalese recipes is without doubt an experience of its own. There are a lot of recipes with foreign names and here are among those that represent Gorontalo best. Firstly, the ilabulo shack on Jalan Pangeran Diponegoro. It’s easy to this place on the side of the street since you can view the smoke from a hundred meters away. The indirectly grilled banana leaves wrapped sago filled with eggs, chicken and spices were once the luxurious treat for Gorontalese royals in the past. It might remind you of lontong at some point, but notice how the sago texture actually works better when combined with this rich filling. It’s a treat for royalty, indeed. Ilabulo, don’t be fooled by the name because it tastes like the best morning sandwich, only better. Bilenthango, this food’s name seemed confusing but no it’s just a fish with dressings that tastes really good. Aside from ilabulo, there’s also Warung Kita’s bilenthango or the grilled tilapia topped with tomatoes, chilies and paired with poki-poki or the eggplants with santan. Last but not least, the binthe biluhuta from RM Syakinah puts the icing on the top of your adventure cake in Gorontalo. Binthe biluhuta or the santan soup filled with milu pulo or the waxy corn and vegetables is a one big, proud Gorontalese dish and best when in an accompaniment of fried fish over sambal dabu-dabu. There’s no need to add rice. It’s already as good as it looks!